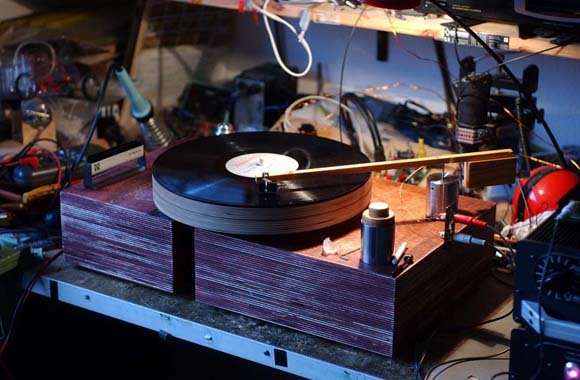 Charles Altmann has raised the bar: don’t talk oldskool and turntables unless you’re prepared to build your own turntable out of raw parts and wood. Via the excellent Spanish-language media blog mediateletipos. I’m back from a week at the Anderson Arts Ranch doing interactive Flash work, so I figured I’d get into the CDM posting groove gradually — a little analog before getting back to digital.